This mantra of peace closes the Ashtanga practice and is chanted before savasana. The prana formed during the practice is given back to the world in the form of light, love, harmony, and peace. By the powerful and mighty leaders administer with law and justice. May all the world's beings be free and happy. svasti (स्वस्ति, svasti) = Wellbeing, Success; here as a whish: may there be Wellbeing! go (गो, go) = literally ,cow'. Here the holy cow is meant metaphorically and can be translated as the Divine. The cow also represents the nurishing principle, as she provides milk for us. brahmanebhyah (ब्राह्मणेभ्यः, brāhmaṇebhyaḥ) = (dativ pl.) the wise scholar, literally god-scholar. loka (लोका, lokā) = (nom. pl.) Worlds, especially the underworld, the earth and heaven. 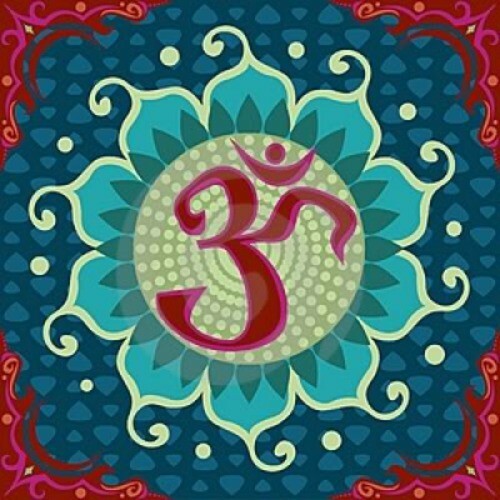 aum (ॐ, auṁ) = the holy syllable "Om"